Some secrets are dying to be discovered. Some are already dead. At seventeen, Sebastian's world is dominated by fairly normal things—his adoptive family, his new friends—and his unrelenting fear of vampires! 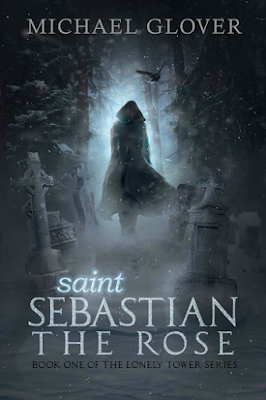 Sebastian lives in an English monastery converted from an ancient vampire's home containing the secrets of vampire graveyards. Sebastian knows that some never truly die, and they must be guarded; he is the unlikely keeper of secrets that are dying to be discovered. Everything changes one spring when a strange combination of visitors arrive, turning his otherwise routine existence upside down. New friends Jacob and Jessica awaken Sebastian to the more pleasant side of life while their own awakening finds the darker side of reality. Sebastian's quest now becomes an epic struggle between himself, a strange companion who knows too much, and the greatest evil he has ever encountered. Sebastian is used to life-changing events, though--the night he became a vampire was nearly as traumatic as what is to come. Michael W. Glover, an author from a small town in Kentucky, is debuting his first novel, saint Sebastian: The Rose, a paranormal thriller. 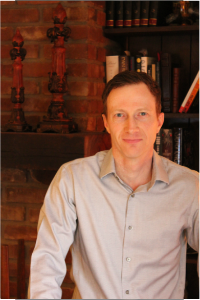 An avid fan of fiction, fantasy, and horror, he is currently working on novels in each of these genres. He is a devout foodie who loves the outdoors and conversation that inspires all things creative.